Great location - easy commute to downtown Loveland and Ft. Collins. 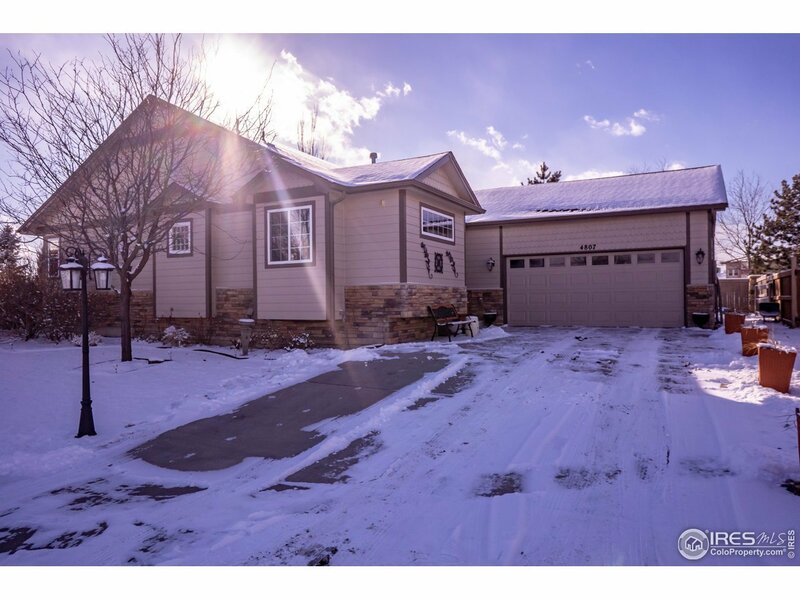 Ranch style living with main floor master, open floor plan, large living room with fireplace, vaulted ceilings, great private deck and patio. Fully finished basement with additional bedrooms (one non-conforming) and family room. Huge oversized two-car garage with second refrigerator, freezer and tons of storage. Adjacent to open space. Close to great neighborhood schools, shopping, and all that West Loveland has to offer.